Young Dutch lady Manon Krijnen, a recent graduate of the Divemaster and Instructor course here at Blue Marlin Dive Gili Trawangan showed true leadership to promote awareness and raise funds for the Gili Shark Foundation recently. Manon, who together with the instructors here at Blue Marlin Dive Gili Trawangan participated in the Great Gili Shark Count for the month of October, came up with an innovative idea to coincide with her graduation ceremony, the infamous Divemaster Snorkel Test held here a few weeks back at our popular Blue Marlin Monday Night Party. She organised a raffle with proceeds going to the Gili Shark Foundation, for someone to be her “dive buddy” on dive number 100. Those of you familiar with diving may know the tradition for the century dive, let’s just say she may have been a little colder than normal!! The raffle generated plenty of attention, with bids from many divers from the other shops around Gili Trawangan, to dive with the attractive young divemaster. In the end however, the home team won, with the prize going to our very own Kiwi instructor Michael Steele. The dive took place a few days later at Simon’s Reef which was the chosen site for the century dive, with its beautiful topography and plenty of canyons for Manon to hide between!! The Gili Shark Foundation was set up in 2013, and is a direct action in response to the slaughter of sharks and rays we are seeing at the Tanjung Luar fish market in East Lombok. Its mission is to monitor the shark populations around the Gili islands, and is dedicated to the protection and conservation of sharks and their habitat. Earlier this year, the Gili Shark Foundation purchased some baby sharks saved by fishermen from Bali, and released them here in Gili, so we now can track and monitor their movements. 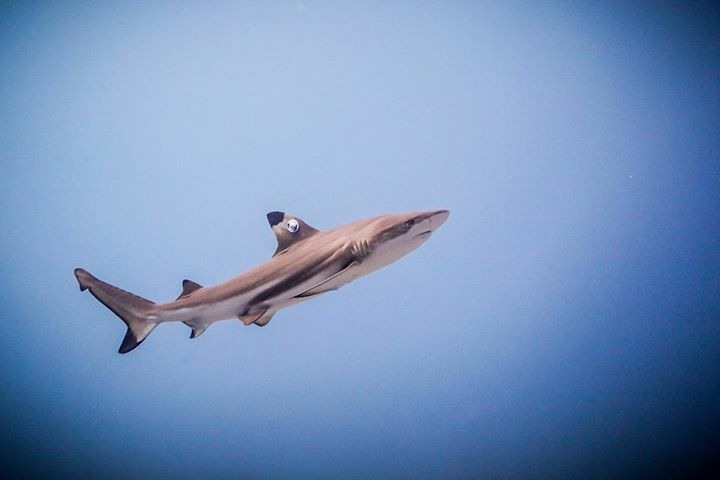 The Great Gili Shark Count which was held last month, and gives us some great data about the habits of sharks around Gili will be repeated again in April so that the results can be compared. 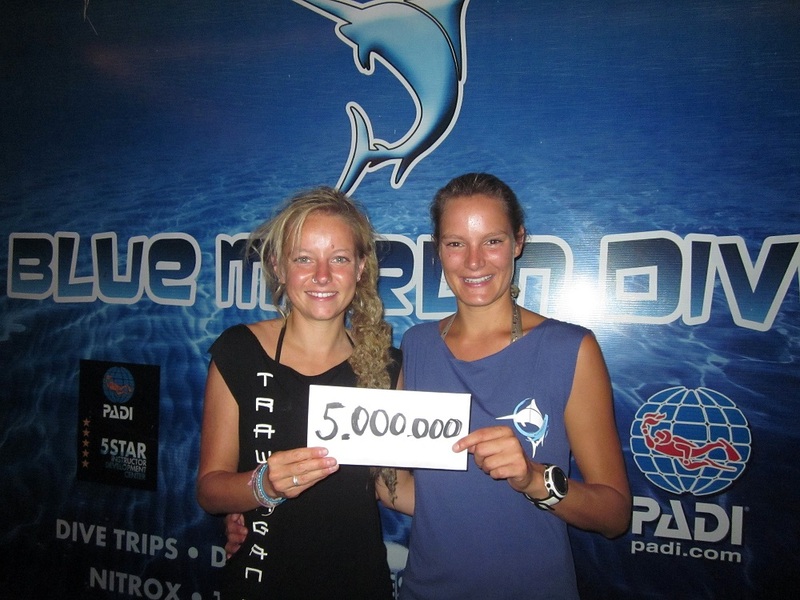 In total, Manon raised 5 milliion rupiah, which will go a long way in helping the Gili Shark Foundation further their actions on the preservation of Sharks around Gili Trawangan. Following her bold move Manon has since gone ahead and completed the PADI instructor course, so we have no doubt that Manon with her creative flair and outgoing personality will be an excellent instructor and a true role-model in championing worthwhile aquatic causes. 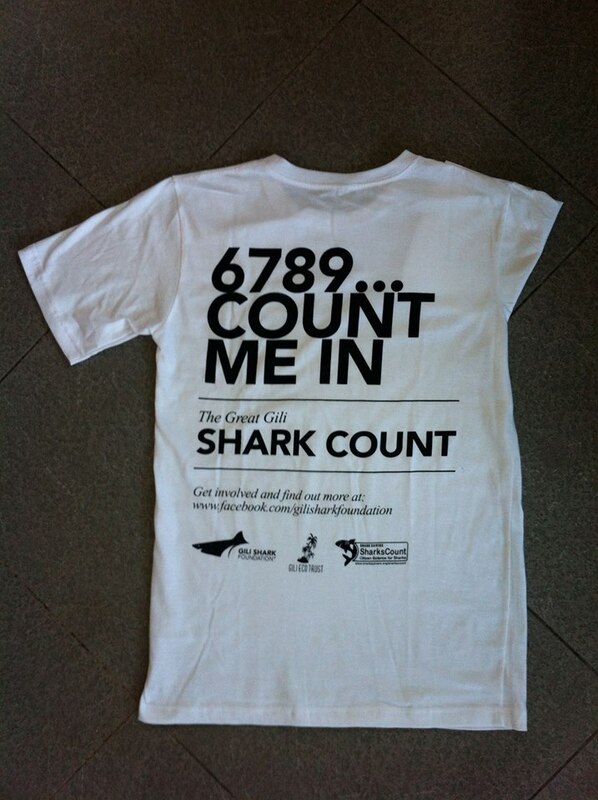 You too can help support this worthwhile cause by purchasing a T-shirt from the Great Gili Shark Count available here at Blue Marlin Dive Gili Trawangan. Next Post Congratulations to Blue Marlin Dive’s Five New Technical Instructors!! 3 billion dollars dollar 1 year industry and rising every year. engage in an important function with United states economics along with won’t be overlooked.